RAIN OR SHINE – IT’S HAPPENING! Bloor-Yorkville Icefest 2017 – Celebrate Canada’s 150th! You are here: Home / RAIN OR SHINE – IT’S HAPPENING! Bloor-Yorkville Icefest 2017 – Celebrate Canada’s 150th! 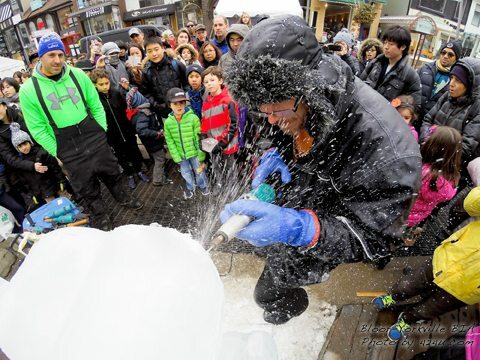 Celebrate winter with the 12th Annual Bloor-Yorkville Icefest taking place on Saturday, February 25th and Sunday, February 26th throughout the Village of Yorkville Park and surrounding area. 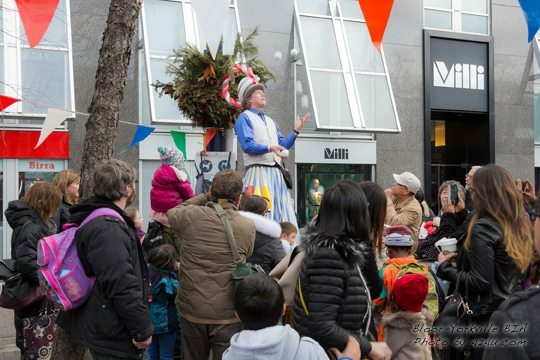 Open to the public on February 25th from 12 Noon–8 pm and February 26th from 12 Noon–5 pm, the Village of Yorkville Park and Cumberland Street will be the centre of the Icefest attractions. This year’s theme will celebrate Canada’s 150th Anniversary, transforming the neighbourhood into a magical showcase of 20,000 lbs. of crystal clear ice sculpted into majestic sculptures inspired by the celebration of Canada’s Confederation. 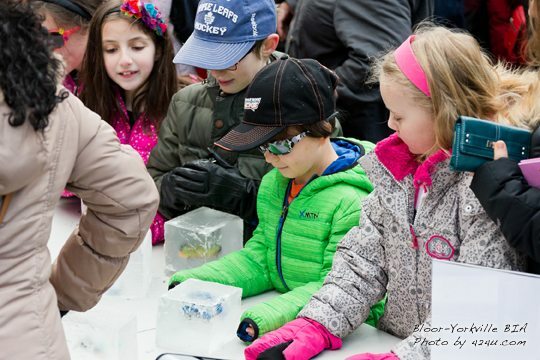 On Saturday, the Annual Sassafraz Ice Carving Competition will take place in the Village of Yorkville Park starting at noon. Twelve ice carvers will compete for the People’s Choice Sculpture Award. As great masterpieces begin to emerge beneath the picks, chisels and chainsaws of the talented carvers, visitors can cast their vote for their favourite ice carving sculpture throughout the afternoon, for an opportunity to WIN one of two prize packages totaling $3,150! Bring the family and enjoy our Strolling Acrobat Trio, Miss Canada Ice Princess, Strolling Crystal Ball Illusionist, Mr. Spaghetti Legs and the fascinating KD Pyro – Fire Twirler with his Cube Act (pictured below), who will perform Saturday evening at 7:15 pm. For a small donation, children can look forward to “Ice Kiddie Cubes” with a surprise toy inside, and visitors can enjoy a sweet treat at the Maple Taffy Station with all proceeds supporting the Heart and Stroke Foundation. Cumberland Street will also host a variety offood vendor tents and an Icefest Lounge featuring the smooth sounds of DJ’s from Bellosound. Be sure to drop by this year’s Photo Op and snap a picture of you and your loved ones in front of the Niagara Falls ice sculpture, located in the centre of the Village of Yorkville Park. 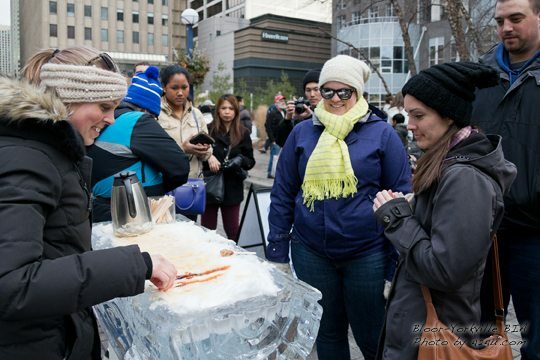 Follow @BloorYorkville on Twitter, Instagram and Facebook using the hashtag #Icefest17. Let us know if you will be coming on our Facebook Event Page!